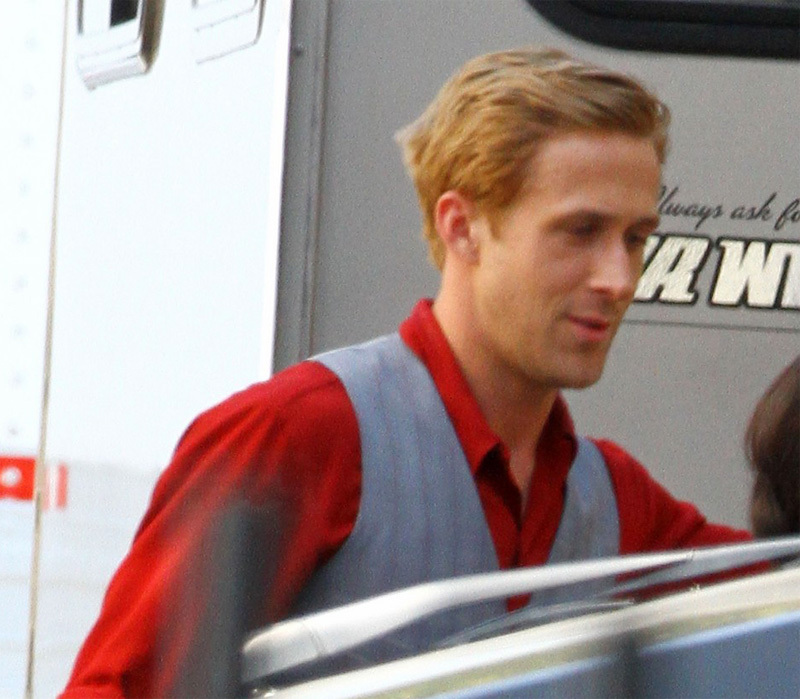 Ryan Gosling is a gangster on the set of his latest film The Gangster Squad on Tuesday, September 13, in Los Angeles. The films directed by Ruben Fleischer will be released in 2013. 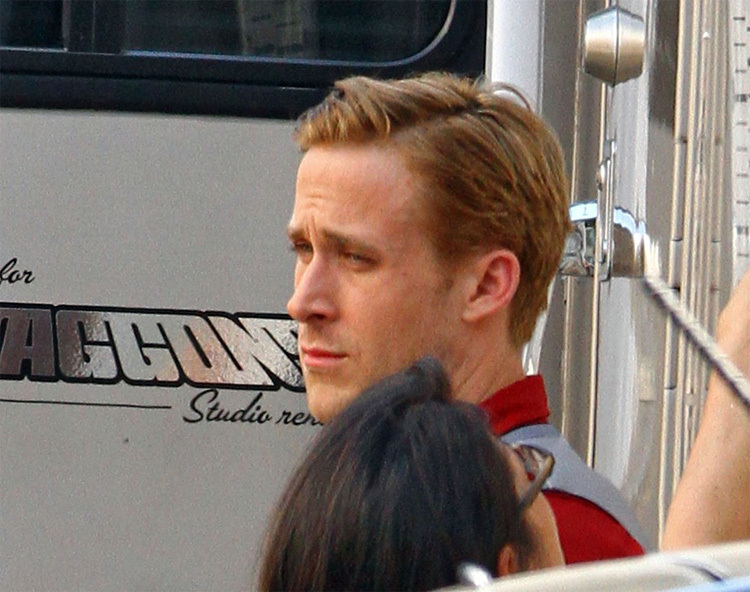 The 30-year-old actor just returned from a trip to Canada for the 2011 Toronto International Film Festival, where he premiered his films The Ides of March and Drive! The Gangster Squad also stars Josh Brolin, and Emma Stone, who Ryan recently teamed up with for the romantic comedy Crazy, Stupid, Love. This entry was posted in Actors, Celebs, Movies, Upcoming Movies on September 14, 2011 by admin. 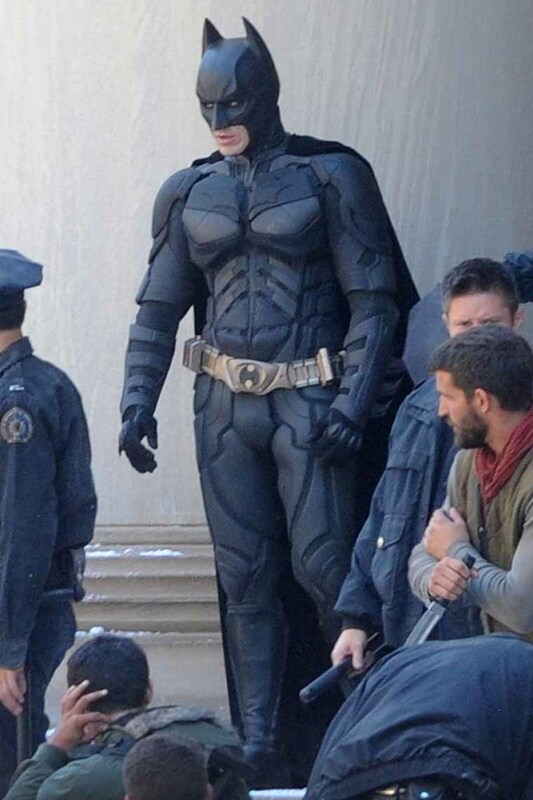 Christopher Nolan is meticulously secret when it comes to the plot of his movies, particularly the Batman films, which is why it’s surprising to see how insanely out in the open production on The Dark Knight Rises in Pittsburgh has been so far. 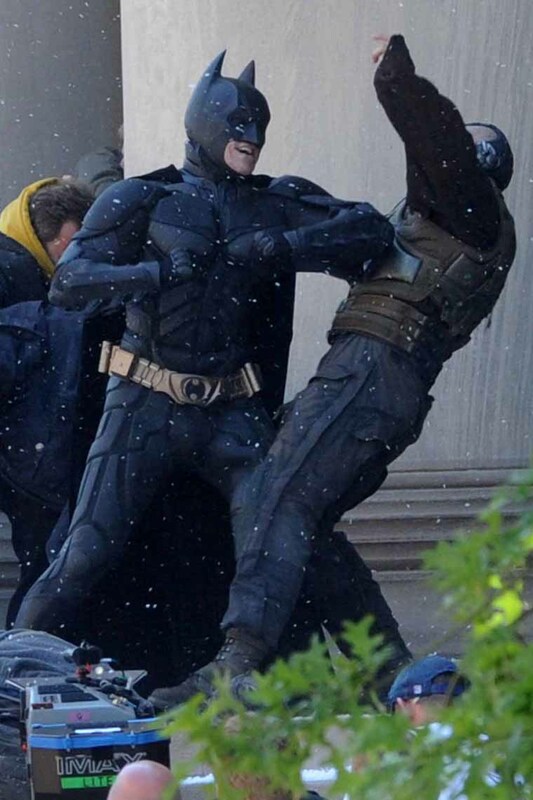 The entire Internet’s already seen Bane in full costume, and now here’s Christian Bale’s Batman fighting him in broad daylight. 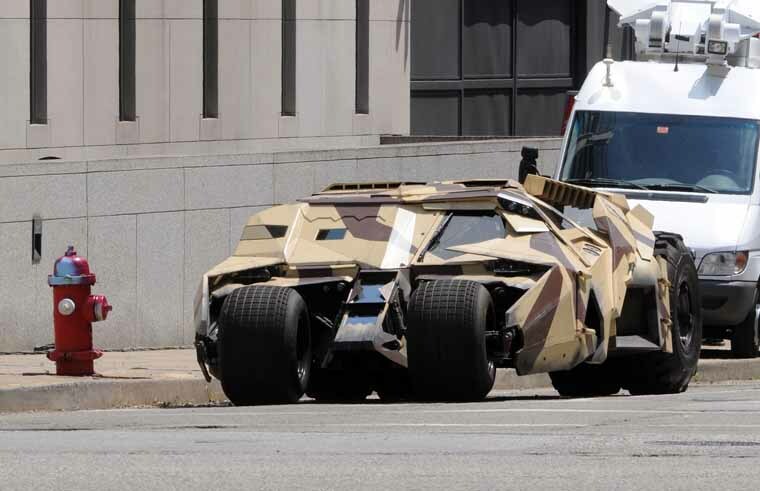 On top of that, you can see Marion Cotillard clear as day, and a goddamn married couple just walking up to the set and posing for pictures with The Batmobile. 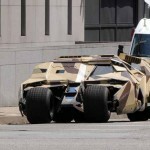 This entry was posted in Movies, Upcoming Movies on August 2, 2011 by admin. Gerard Butler chats on his cell phone during a stroll through New York’s West Village on Thursday, December 9. He suddenly upped his pace and dashed to catch a cab. The 41-year-old Scottish actor is back in Manhattan after spending some time in Miami earlier in the week. Recently, Gerry received a Annie nomination in the Voice Acting in a Feature Production category for his work in the animated film How to Train Your Dragon. The Annie Awards showcases and acknowledges achievements in animation in film, television, and video game. His upcoming film “Coriolanus”, directed by and starring Ralph Fiennes, is expected to open the 2011 Belgrade International Film Festival. This entry was posted in Actors, Celebs, Gerard Butler, Upcoming Movies on December 9, 2010 by admin. 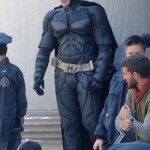 The rumors that the late Heath Ledger will be seen as the Joker in “The Dark Knight Rises” are not true. 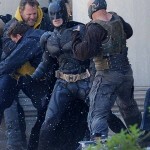 Director Christopher Nolan and his wife producer Emma Thomas both deny that the deceased actor will be involved. Thomas said: “I heard the rumor. We’re not doing that”. Ledger died of an accidental drug overdose in January 2008. Heath won a posthumous Academy Award (Oscar) for his performance as The Joker in the Dark Knight, but there had been rumours that cut footage from the movie could be used in the new instalment. The director and Thomas have dismissed those claims. 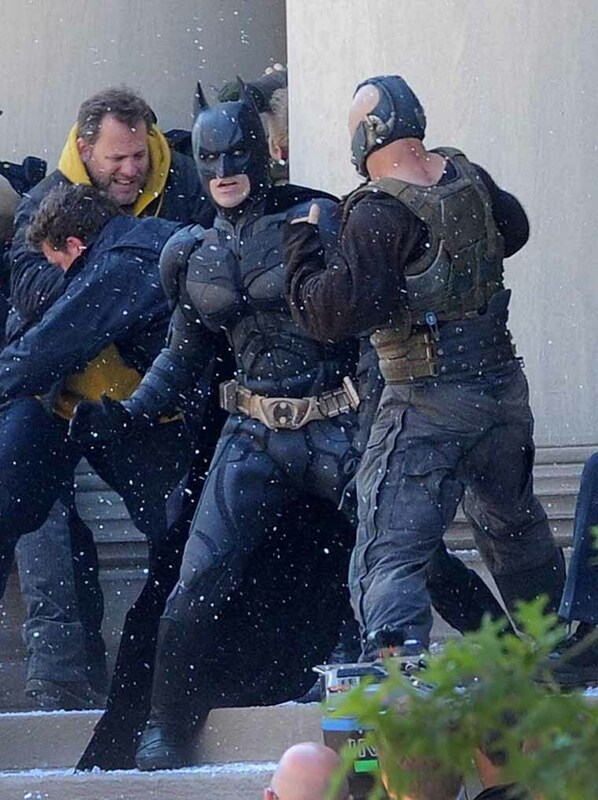 Also, Aaron Eckhart said he won’t be in “Dark Knight Rises”. 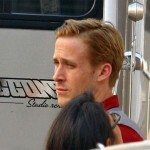 The actor confirmed he had a meeting with Nolan on the beach and the Director delivered the news to him. “I was heartbroken,” Aaron said of learning that he won’t return as Harvey Dent. 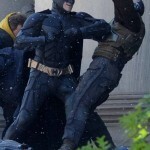 Meanwhile, Nolan has said that “The Dark Knight Rises,” which is due in theaters in July 2012, will be his final Batman movie. 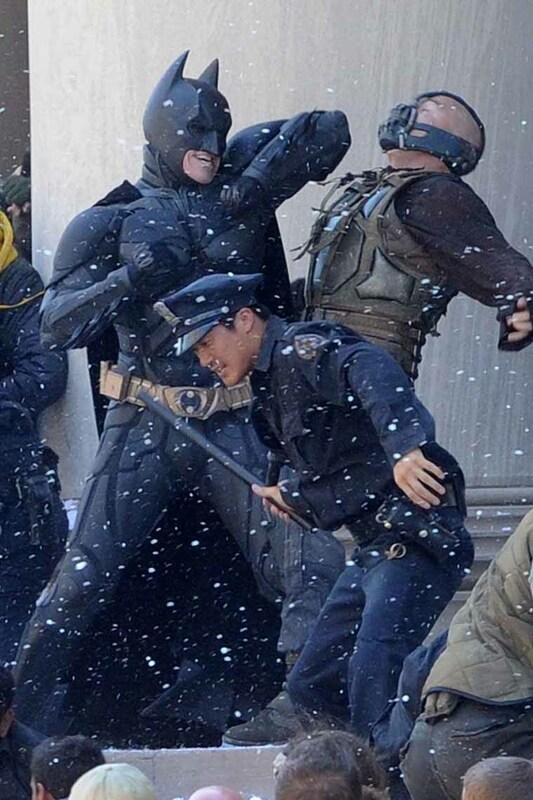 Photo Credit: Warner Bros Pictures. 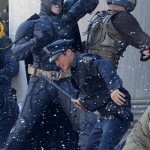 This entry was posted in Actors, Celebs, Christopher Nolan, Directors, Movies, Upcoming Movies on December 3, 2010 by admin. 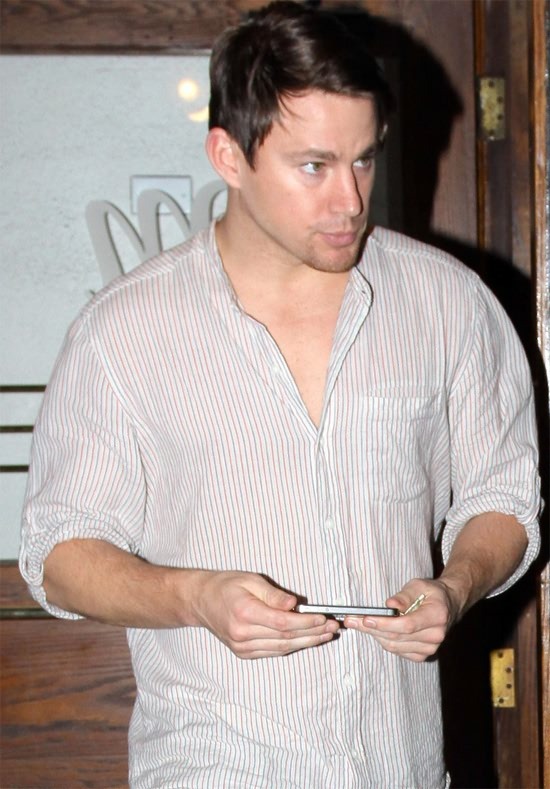 Channing Tatum checks messages on his iPhone as he leaves dinner at Madeo Restaurant on Tuesday, November 2, in West Hollywood. The 30-year-old actor recently celebrated Halloween with wife Jenna Dewan and pal Haylie Duff! He dressed up as Max from Where The Wild Things Are for a party, while Jenna dressed as a peacock! The couple also dressed up their dog, Meeka, as a ladybug. Cute! Rumors are also circulating that ‘G.I. Joe’ star Channing Tatum is attached to star as a Virginian solider. He’s sent to Russia by Benjamin Franklin to speak to the czarina. His job is to convince Catherine not to support the British in the pending American Revolution by sending Russian troops to the 13 colonies to fight. While there, Tatum’s character seduces Catherine. This entry was posted in Actors, Celebs, Movies, Upcoming Movies on November 7, 2010 by admin. Actor Shia LaBeouf squeezes in some last-minute Halloween shopping on Friday, October 29 in Toluca Lake, California. His dad, Jeffrey, accompanied him to the store, where Shia walked back to the car holding a mask. The day before, a shirtless Shia filmed some additional scenes for Transformers 3 with actor Patrick Dempsey. 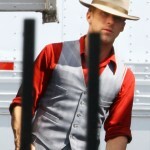 The movie is set to be released on July, 1st, 2011. Shia’s ex-girlfriend Carey Mulligan has reportedly move on from the relationship and is spending time with fellow British actor Tom Sturridge. Shia and Carey ended their relationship some time ago. The couple, who began dating in year 2009, starred together in September’s “Wall Street: Money Never Sleeps”. This entry was posted in Celebs, Shia LaBeouf, Upcoming Movies on October 31, 2010 by admin. A new trailer for Vince Vaughn’s new film “The Dilemma” has been released after CNN Journalist Anderson Cooper visited The Ellen Degeneres Show and criticized a scene in the film. Anderson Cooper and GLAAD’s protest of Vince Vaughn film where according to Mr. Cooper they used the term “that’s so gay” in a pejorative way. GLAAD stands for “Gay & Lesbian Alliance Against Defamation”. 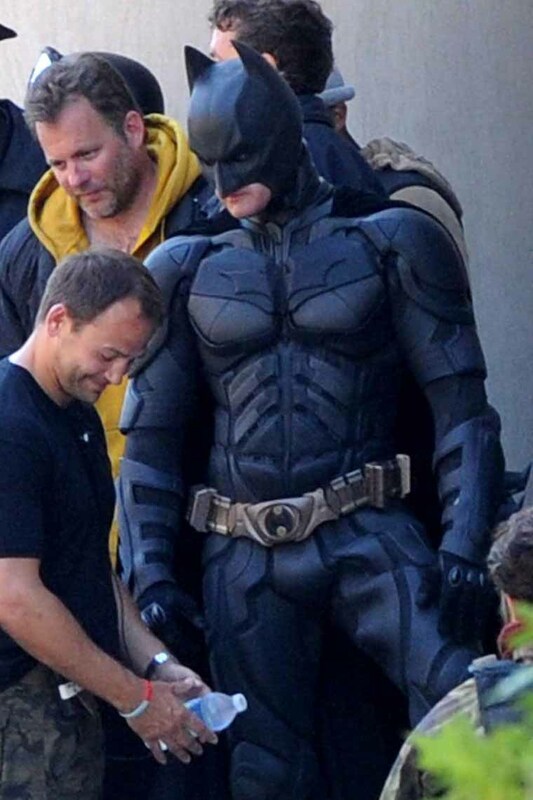 All this BUZZ caused the studio to release a new trailer. This entry was posted in Actors, Anderson Cooper, Celebs, Movies, Uncategorized, Upcoming Movies, Vince Vaughn on October 10, 2010 by admin. Happy Birthday Sigourney Weaver, Chevy Chase and Matt Damon! Actress Sigourney Weaver turns 61 today! She just finished filming her last comedy “Cedar Rapids”. Directed by Miguel Arteta, it is set to be released sometime in 2011. The plot focuses on Tim Lippe (portrayed by Ed Helms), a small town insurance salesman heads off to the “big city” of Cedar Rapids, Iowa, to try and save his company. Great comedian Chevy Chase turns 67. He is currently involved with “Community”, the comedy TV series broadcasted by NBC. Second season airs Thursdays at 8:00 PM (ET) and includes 22 episodes. Matt Damon is 40 now! Can you believe it? 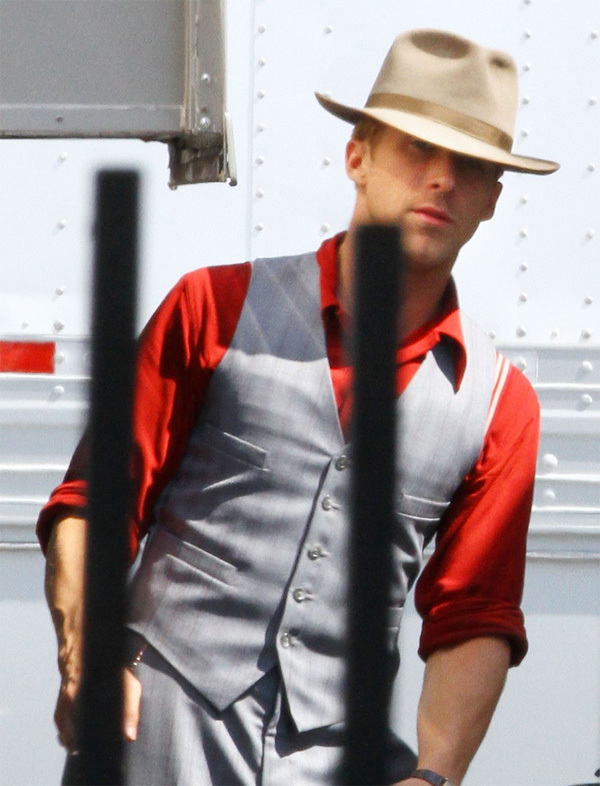 Matt completed his last film “Margaret” (2011), directed by Kenneth Lonergan (Gangs of New York screenplay). It centers in a young woman (Anna Paquin ) who witnesses a bus accident, and is caught up in the aftermath, where the question of whether or not it was intentional affects many people’s lives. Right now, Matt Damon is expecting his third child with Argentine-born wife Luciana Bozán Barroso. Congrats! This entry was posted in Actors, Celebs, Chevy Chase, Matt Damon, Movies, Sigourney Weaver, Upcoming Movies on October 8, 2010 by admin. Journalist and author Anderson Cooper has criticized Vince Vaughn’s pejorative use of “that’s so gay” the trailer for his new film, “The Dilemma”, set to be released on 14 January 2011 in USA. In the upcoming film, Vince plays a man (Ronny Valentine) who discovers that his best friend’s wife is having an affair. Anderson Cooper is the younger son of the artist and designer Gloria Vanderbilt and a member of the prominent Vanderbilt family of New York. The movie cast will include: Channing Tatum, Jennifer Connelly, Winona Ryder, Vince Vaughn, Kevin James, Queen Latifah. This entry was posted in Actors, Anderson Cooper, Celebs, Movies, Upcoming Movies, Vince Vaughn on October 8, 2010 by admin. 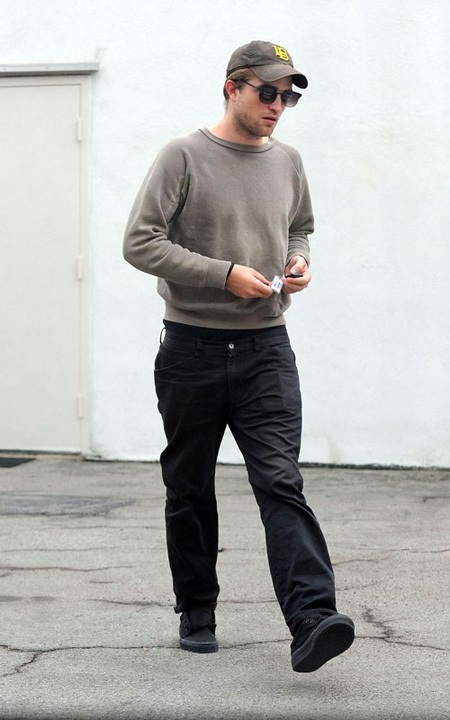 English actor Robert Pattinson was spotted in Hollywood, California on Tuesday afternoon, October 5. He went to a local In-N-Out Burger and then visited a costume warehouse before popping out the back door for a quick escape to his car. The sighting comes just a day after Pattinson and Kristen Stewart were snapped leaving a restaurant in Los Angeles last night and tried to keep their heads down as they came face-to-face with the cameras. Having remained out of the public eye prior to this week, Robert seems to be easing back into the spotlight as he’s ready to start shooting his next movie “The Twilight Saga: Breaking Dawn” which will be released in 2011. The Twilight stars have always tried to keep their relationship private from the media and the paparazzi, even though everyone is aware of their love relationship and they have been photographed together many times. This entry was posted in Actors, Celebs, Kristen Stewart, Movies, Robert Pattinson, Upcoming Movies on October 6, 2010 by admin.